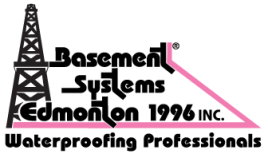 Basement Systems Edmonton is Basement Systems, Inc.'s certified basement waterproofing and crawl space repair contractor servicing Central to Northern Alberta. This includes Edmonton, Camrose, Lloydminster, Wetaskiwin, Viking, Boyle, Mayerthorpe, Leduc, St. Albert, Sherwood Park and the surrounding areas. 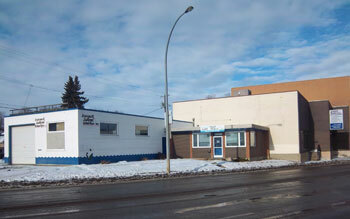 Founded in 1996, Basement Systems Edmonton always upholds the integrity and company standards of the Basement Systems reputation. We received the Commitment Award in 2002, and have won the Basement Systems Top Canadian Dealer Award in 2003 and 2004. Our company is locally owned and operated, and all basement waterproofing products are sold and installed by "Certified Waterproofing Professionals". We're a Supportworks dealer for both residential and commercial poured concrete foundations and won the Visionary Award. We also specialize in fixing poured concrete foundations that have settled or have cracks and bowed walls. Get A FREE Quote!Contact Basement Systems Edmonton today for a FREE Written Estimate on Basement Waterproofing, Crawl Space Repair or Poured Concrete Foundation Repair!